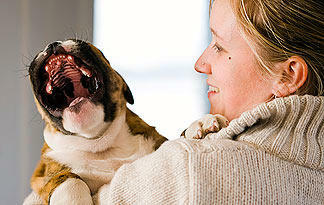 There's so much to think about with a new puppy: feeding, training and building a bond. If your little one just has a mouthful of tiny teeth, you may not have even considered dental care (or perhaps just fleetingly when you glimpsed the newly gnawed-on sofa legs). But just as it is for us humans, developing good oral hygiene early is a major step in safeguarding your pup from dental disease down the road. Here are five things the two of you should do in his first year.